Jan. 30, 2015 -- On Wednesday, the House passed H.R. 351 (277-133), which requires the Department of Energy to expedite its decisions regarding natural gas export facilities. 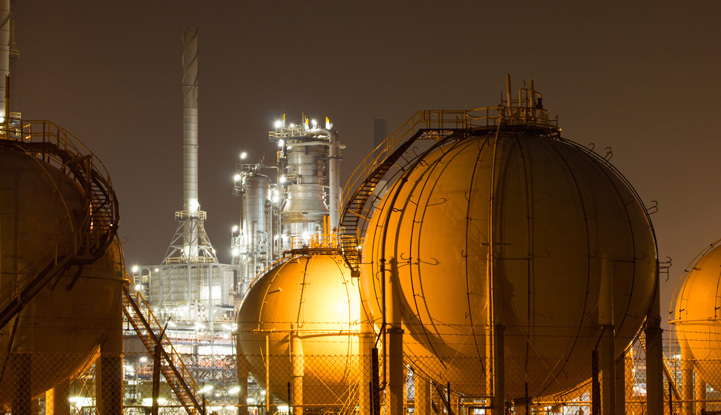 With the current surplus of cheap American natural gas, energy companies are seeking to export the fuel, which is experiencing increased demand in Europe and elsewhere. American companies have been seeking federal approval to export natural gas since prices plummeted in 2009. In 2012, Houston-based *Cheniere Energy, Inc. received the first federal permit to export LNG. Besides Cheniere, the Energy Department has approved three other applications, which, along with the required environmental review, can take years and cost tens of millions of dollars to complete. Since January 1, 2014, 27 entities have submitted applications to the Energy Department. H.R. 351 seeks to speed up the approval process by requiring the Department to rule on permit applications within 30 days of receiving a completed environmental review. Among the many dozens of companies involved in financing and operating the 27 proposed facilities, nine have political action committees (PAC). The nine companies include organizations that are applying to own or operate an LNG export facility, like California energy giant Sempra Energy, or have ownership stakes in LNG facilities, like Wall-Street bank Morgan Stanley and its relationship with Wentworth Gas Marketing LLC..
PACs of nine companies applying to export LNG gave, on average, 4.7 times more money to Representatives voting ‘YES’ ($9,369) on HR. 351 compared to Representatives voting ‘NO’ ($1,976). PACs of nine companies applying to export LNG gave, on average, 3.8 times more money to Democrats voting ‘YES’ ($7,499) on H.R. 351 compared to Democrats voting ‘NO’ ($1,956). PACs of nine companies applying to export LNG gave, on average, $9,693 to Republicans voting ‘YES’ on H.R. 351 compared to $4,500 to Rep. Chris Gibson (R-OH), the only Republican to vote 'NO'. Rep. Bill Johnson (R-OH), the sponsor of the legislation, received $31,500 from the PACs of the nine companies. Lobbying Data: MapLight analyzed lobbying spending by the nine LNG exporting companies, BP America, Inc., Cheniere Energy, Inc., Chevron Corp, ConocoPhillips, ExxonMobil Corp, GDF Suez, Morgan Stanley, Puget Sound Energy Inc., and Sempra Energy, during the last two years. Full methodology below. Since January 1, 2013, the nine companies have spent a combined $87.4 million on lobbying Congress and the federal government. In 2014, the nine companies spent $41.6 million on lobbying. In 2013, the nine companies spent $45.8 million on lobbying. To view a company's full lobbying profile, click here to access MapLight's full lobbying database. *Cheniere, whose CEO topped the list of highest paid executives in 2013 at $142 million, plans to spend $10 billion on the project to convert gas into liquefied natural gas (LNG), so it can be shipped abroad in specialized tankers. Lobbying Methodology: MapLight analysis of federal lobbying disclosure filings from the Clerk of the U.S. House of Representatives. Lobbying totals represent money paid by an organization to each lobbying firm for services on all issues. Organizations report total lobbying expenses as a lump sum, which includes both in-house lobbying expenses and amounts paid to (and reported by) lobbying firms that they employ. MapLight calculates a given organization's in-house lobbying expenses by subtracting the total income reported by the lobbying firms that it employs from the company's total reported expenses. In general, filers may round their spending and expenses to the nearest $10,000, and we treat the designation of "Less than $5,000" as a value of $0. MapLight updates its lobbying database daily to capture amendments. Full reports are due on the 20th day of January, April, July, and October. Campaign Contribution Methodology: MapLight analysis of campaign contributions to members of the House voting on H.R. 351 from nine LNG exporting companies (BP America, Inc., Cheniere Energy, Inc., Chevron Corp, ConocoPhillips, ExxonMobil Corp, GDF Suez, Morgan Stanley, Puget Sound Energy Inc., and Sempra Energy) from recently available FEC data as of January 27, 2015 for the period 1/1/2013-12/31/2014. The nine companies are listed in the application materials for entities applying for LNG export permits from the Department of Energy in 2014, available here. MapLight is a 501(c)(3) nonprofit, nonpartisan research organization that tracks money's influence on politics.